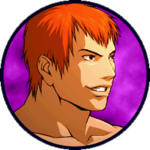 A Mixed Martial Artist, Gai hails from Japan and he calls his fighting style "total combat." 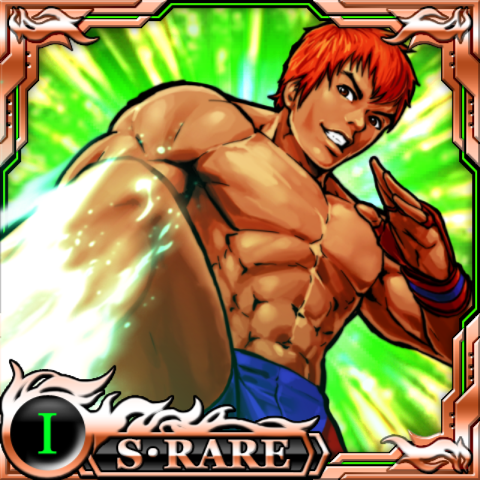 He is a balanced stand up fighter skilled with punch and kick combos, and is also a decent grappler. When Gai heard the news of the upcoming Buriki One tournament, he decided to enter to test his skills. During the tournament, he started a rivalry with American boxer Rob Python. 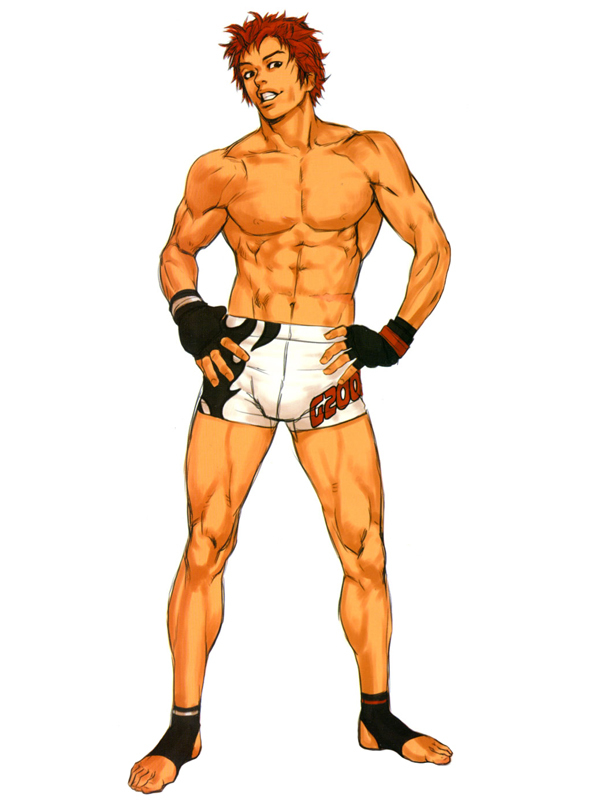 His first appearance in the King of Fighters tournament was in KOF '99 as an extra striker. 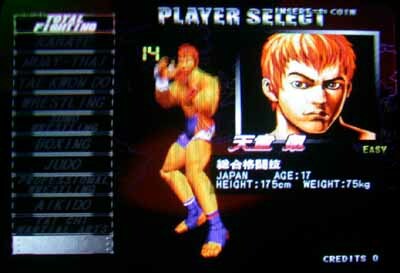 He later appeared in KOF 2000 as Takuma's extra striker. In King of Fighters XI, he finally entered the tournament himself to test his skills. 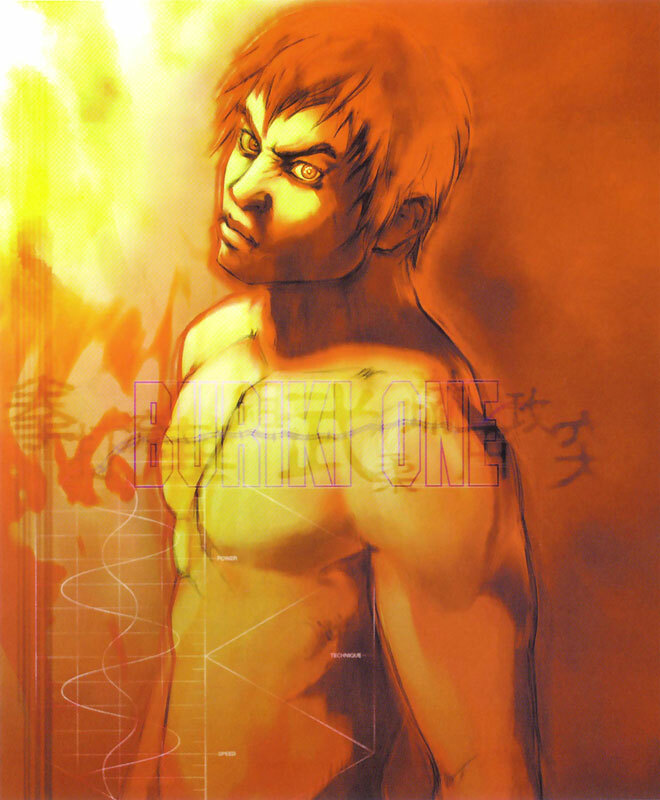 He is loosely based on manga character Baki Hanma from Baki the Grappler. 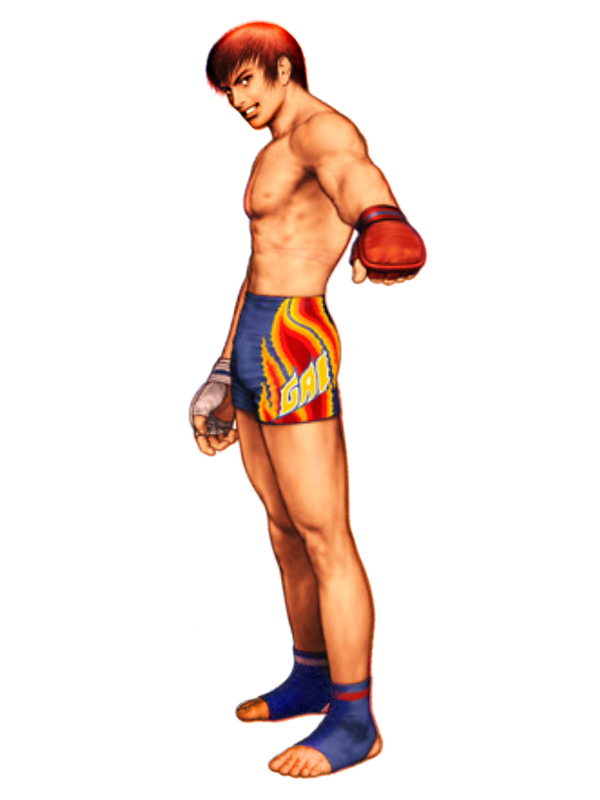 Although his outfit is on the generic side, his look is actually fairly unique in the fighting game world. 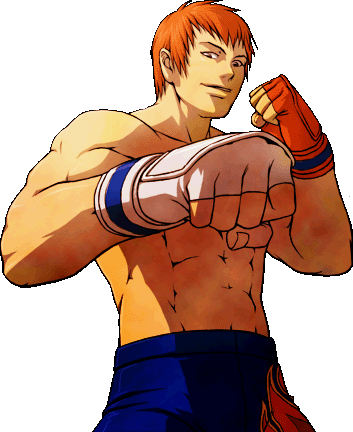 He also definitely looks like a fighter... which is a good quality for a fighting game character to have. ;) Gai also seemingly has a lot of charisma.... 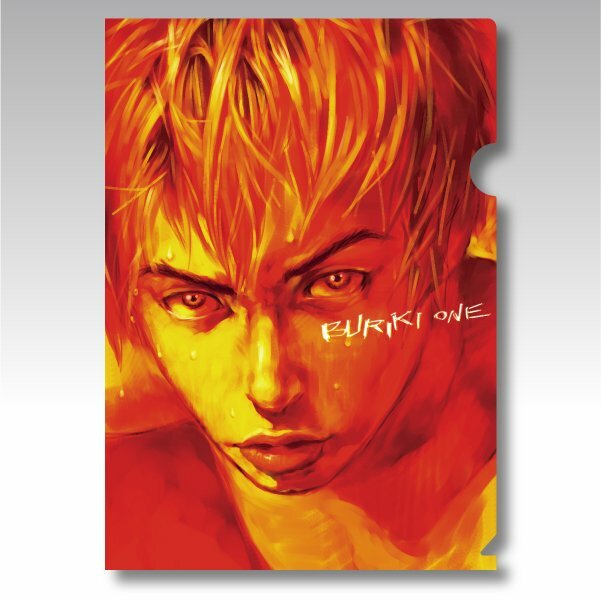 It seems like he has some sort of facial expression in nearly every artwork! lol. It was cool to see him finally translate to a 2D fighting game... he was a pretty cool character in King of Fighters XI. 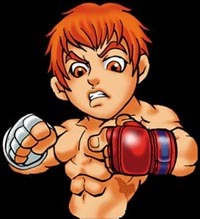 And if you didn't know, he shares quite a resemblance to Baki the Grappler.